Hi there, I’m Cliff Hall, and odds are I’m somewhere doing something very geeky right now that interrupted something equally geeky that I was doing earlier. But no worries, all interrupts will eventually be serviced. Since the early ’80s, my consuming passion has been programming. Today I work as a Software Architect, bringing more than thirty years of industry experience to bear on every task. My career has run the gamut from writing games in machine language for Commodore 64 and Apple II to implementation of large scale, object-oriented, enterprise applications. As an independent contractor working through my company Futurescale, Inc., I’ve been building and maintaining applications for major corporations and edgy startups worldwide for fifteen years. Aside from client work, my most valuable contribution to the developer world has been the PureMVC Framework, an Open Source project that has been ported to nearly every popular development language. 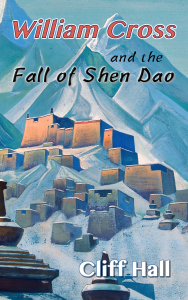 In my spare time, I am an author and occasional music producer. 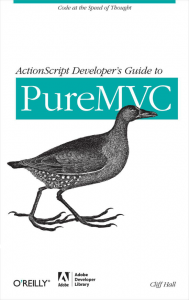 My programming book ActionScript Developer’s Guide to PureMVC was published by O’Reilly. I’m currently writing a science fiction series called Dark Matter Highway, and an action / adventure series, William Cross Chronicles. The sonic noodlings of my recording project “Sea of Arrows” can be found on Soundcloud and various compilations.